Section 4 Military stone, no dates. GAR post 159, Co.A., 29 IA Inf. 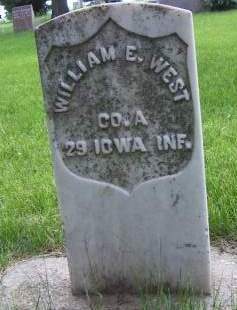 Searching for WILLIAM E. WEST in Sioux County Iowa?